Flutes & Tails at Edinburgh Airport are looking for Servers! Want to join a fast growing company? Work with the finest wine & Champagne? 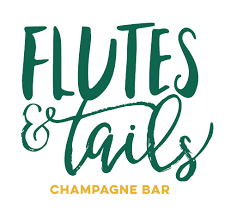 Flutes and Tails – The Champagne Bar provides a fabulous selection of fine champagne, wines, beers, spirits and cocktails, alongside a wide ranging food menu. Flutes & Tails in Edinburgh Airport is a place to relax and dine in style, fancy being part of the team? Apply below! Extras: Opportunity to invest via the ‘share scheme’, pension for the future, 33% Discount in all our restaurants, all meals on duty, access to our online benefits. Our ideal Servers will be passionate, energetic and ambitious. You will be hands-on, getting stuck into all aspects of the business, both on the floor and in the kitchen. Please be aware that Airport shifts may start at 4am and you will need to complete a 5 year security / referencing background check.